Laxmanbhai & Co takes a client focused view of Seychelles hotel construction from detailed pre-planning and our use of the latest building techniques, design, civil engineering, contracting and management systems to the skilled artisanwork you would expect from ‘the market leader’ in the field. With 37 successful years of Seychelles based luxury hotel and commercial construction experience the focus at Laxmanbhai & Co always remains fixed on the successful completion of the project to the highest standards with professional contingency planning options and variation systems in place to cater to the client's needs. Having successfully completed dozens of projects throughout the Seychelles, Laxmanbhai’s broad portfolio of work includes examples of every conceivable construction challenge. Our variety of in-house trade specialists, fleet of heavy duty construction vehicles and impressive construction management track record allow us to tackle any project. 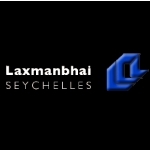 Contact us to find out why Laxmanbhai is the logical choice for your next Seychelles construction project.